BJ Penn isn’t quit done with MMA just yet…. ESPN’s Ariel Helwani is reporting that the UFC is working on a featherweight bout between the two world class grapplers: BJ Penn and Ryan Hall for either November or December. Te 39 year old former 2 division champion Penn is on a 5 fight losing streak, last dropping a decision to Denis Siver and a TKO loss to Jair Rodriguez last year. This fight would be a grappling showdown since both have a great BJJ pedigree. 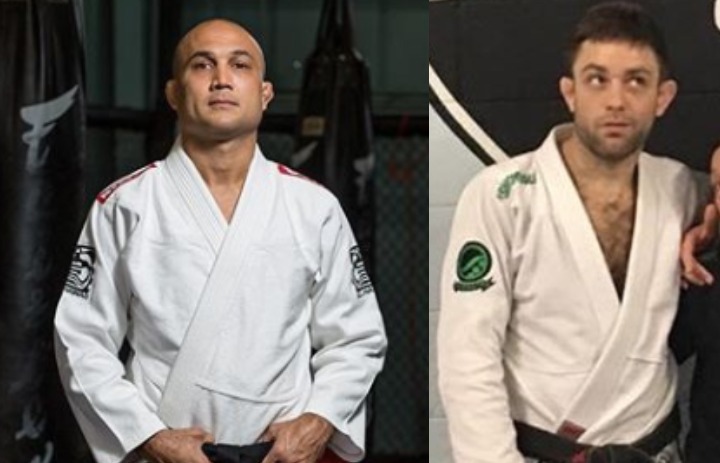 Penn is the first foreigner to ever win a BJJ world championship and Hall is a ADCC bronze medalist. Now Hall is ready to explain where he’s been in the mean time and what does it all mean for his MMA career. Ryan Hall Believes BJJ Community Has Gone In An Odd Direction!